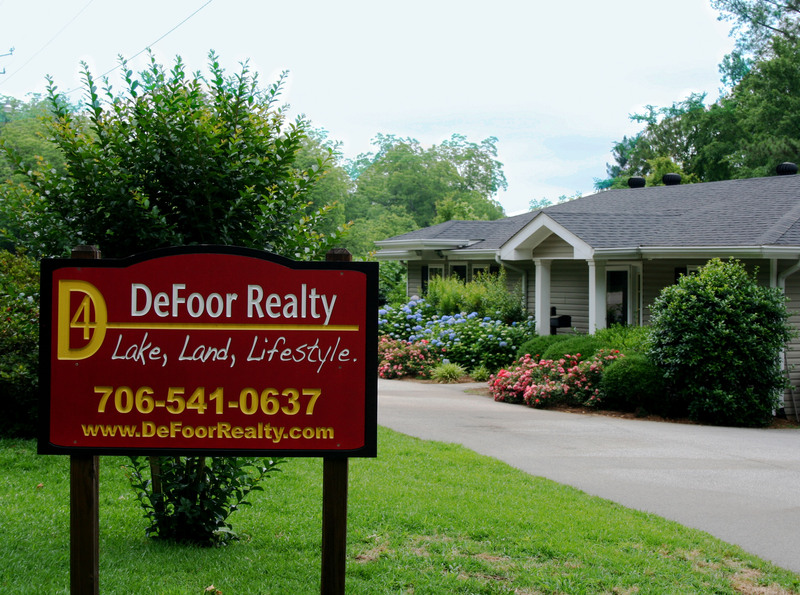 DeFoor Realty is a real estate brokerage company with a lot of experience in a little bit of everything. In addition to the services below, we are very involved with the community and will be happy to help with any needs that you may have. Residential We deal heavily in residential properties. Whether large or small homes or even houses with a lot of acreage, we can help you find a home that suits your lifestyle. In addition to normal home sales, we also handle foreclosed properties, bank owned houses and short sales in order to get you the best deal on your dream home. Lake Property We specialize in land and residential properties surrounding Strom Thurmond Lake / Clarks Hill Lake and the Savannah River. We have large and small acreage tracts with lakefront views, dockable lots and waterfront access. Many of these lots are located within desirable subdivisions, such as Serenity Pointe and Savannah Lakes Village. We also showcase various lake houses with beautiful views, recreational amenities and functional docks. Land & Acreage Tracts We also handle large and small acreage tracts in Georgia and South Carolina. We have many lots within acreage tracts developments, such as Dunwoody Estates, McConnell Run, Bartles Farm and Savannah Pines. From helping you to see your dream of a new home on your property to helping you find that perfect recreational play tract, we also have trained staff available to help you with timber management and wildlife management that will increase the value of your property. DeFoor Realty can also help you find a builder that will work with you to meet your expectations in price and quality. Mountain Vacation Homes While our main focus is land and residential property in the Augusta area, including Evans, Martinez, Lincolnton, Harlem, North Augusta, Aiken, and more, we are experienced in other real estate areas. We have land and vacation homes for sale in the North Carolina mountains that are secluded with beautiful views. Boat Shed Rentals We also rent boat sheds to people who frequently enjoy fishing or entertaining at Clarks Hill Lake/Lake Strom Thurmond. We have around 50 boat sheds available for rent, but call us quick because they go fast! Notary Services DeFoor Realty also provides public notary services to the community. Just stop by our office and one of our official notaries will be able to assist with your notary needs. Contact one of our agents today for more information.